The most common type of a headache is a tension headache. This type of a headache is characterized by a feeling of tightness surrounding the head as though a band was wrapped tightly around it. Symptoms may also include a stiff neck and shoulders. As common as these headaches are, there is still little understood about them in the medical community. Tension headaches are not as debilitating as something like a migraine, but someone who gets chronic tension headaches and suffers more than half the days of a month in even moderate pain is going to become frustrated. However, since the pain is more of an annoyance, people will usually reach for an over-the-counter pain reliever to get through. Unfortunately, this can actually play a role in chronic headaches because most pain meds can cause rebound headaches if used too frequently. As a result, the pain medication creates a cycle of more pain and more medicine. Is there a natural way to find relief and break the cycle? Rather than attacking the symptom—pain—it is important to get to the source of the problem to reduce the frequency and severity of headaches. For example, if medication overuse is a contributing problem, a person must set aside the painkillers and deal with the headaches until the pain medicine can be cleared from one’s system. 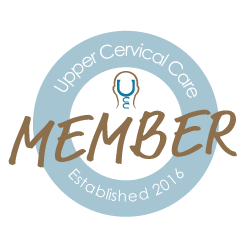 Upper cervical chiropractic is another approach that is often successful because a misaligned C1 or C2 vertebra can easily create the conditions needed in the body for headaches to occur. For example, blood flow to the brain is hindered, pressure may be placed on the brainstem or spinal cord, and cerebrospinal fluid drainage may be inhibited. At Pancake Wellness Center, we use the Atlas Orthogonal method of upper cervical chiropractic care to provide a gentle and precise adjustment to the C1 and C2. Correcting misalignments has been shown to reduce or relieve headaches in a number of case studies.